Zoofari Animal Outreach | Inspiring passion, learning and play through customized animal outreach programs. Inspiring passion, learning and play through customized animal outreach programs. Whoops! We’ve been so busy we haven’t updated the blog in awhile. Many apologies and welcome back! Zoofari Animal Outreach continues to bring its unique brand of exotic, mobile petting zoo and animal shows to schools and events around Central Texas. 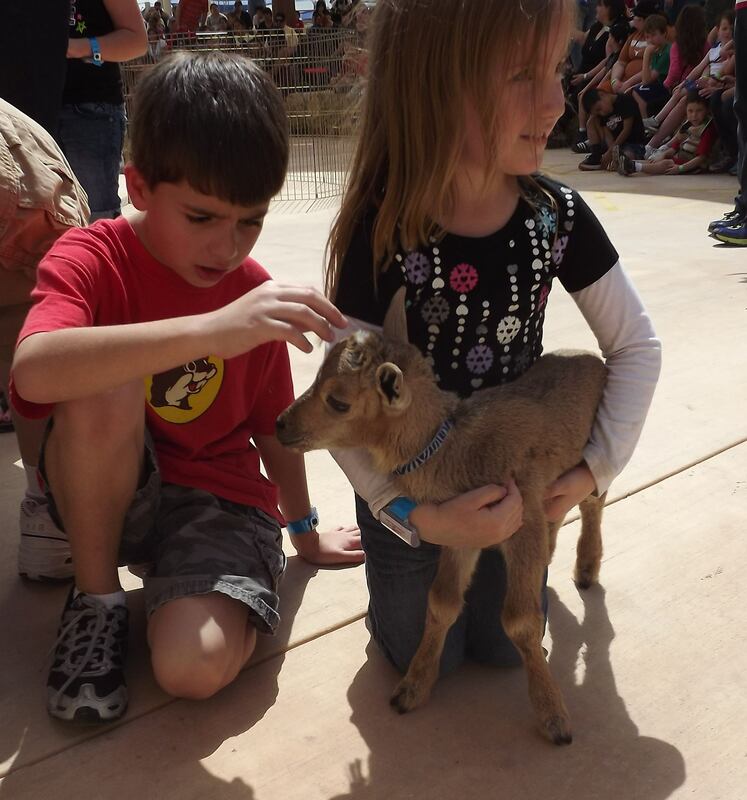 Kids learn by experiencing a customized, zoo experience set up specifically for the each organization’s environment. Steve and the team guide the kids as they take in, learn about, and interact with animals from all over the world in a safe setting. Mother and son visit with a young kangaroo in Fredricksburg, Texas, during a Wounded Warrior event. Charity events, such as the Wounded Warriors event in Fredericksburg that we have attended each May since 2012. Schools that serve kids with special needs such as the wonderful students of the Foundation Autism School in San Antonio. Public and private schools in the area who cater to pre-school students, such as Lupine Lane School in Lakeway Texas. Feedback on our program is consistently positive; the kids look forward each year to the time when the animals visit. Kids have enjoyed meeting an array of animals ranging from Patagonian cavies, to kangaroos, to cockatoos, to a beautiful African crowned crane and many more. We also visit students of all ages Texas public schools, where we bring the animals and the science lessons to teachers and kids. We have created lessons that align with the Science TEKS for Kindergarten through Grade 6 and we are working on more! Zoofari’s customized program Church programs, fundraisers, and corporate team building continue to grow and develop. Now booking for 2018/2019 fall and spring events and classes. You may have seen an animal at the zoo, but did you get to touch it, feel it, smell it and interact with it up close and personal? Here is a great opportunity to offer your students, children or event participant, a once-in a-lifetime experience with unique animals from around the world. 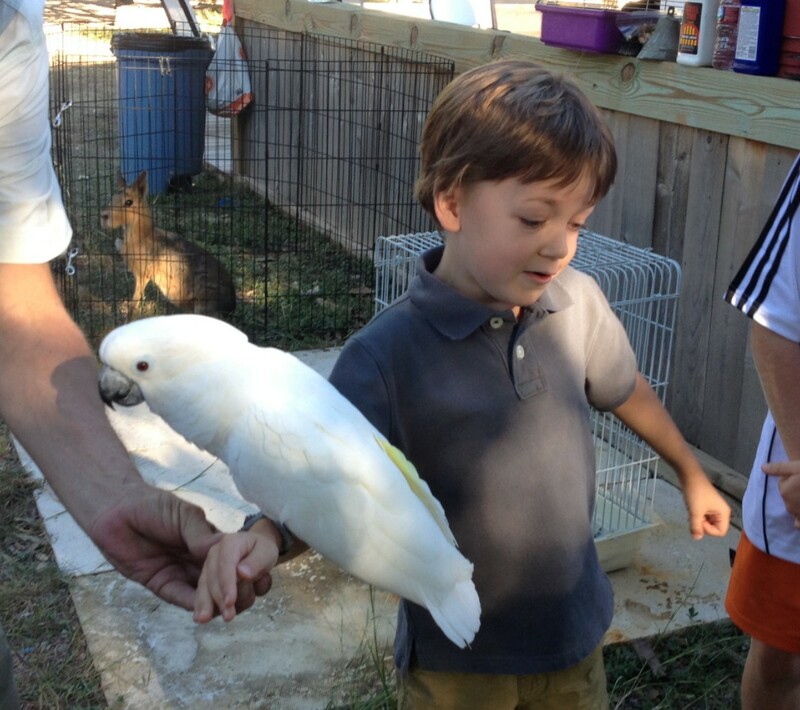 What We Do: Zoofari provides educational exotic animal programs and petting zoos for schools, camps, fundraisers, community organizations, churches, and conservation programs in Austin, San Antonio and the Hill Country. We tailor each program to suit your organization’s goals and mission. Through our programs, children and adults alike, get an up-close and personal experience with animals they may have only seen from a distance. Program Benefits: There is abundant research on the benefits of children interacting with animals, but the proof is in the kids themselves. On seeing and interacting with one of the Zoofari Animals, children become captivated and inspired to care. They become transfixed, a quiet overcomes them, and all cares, worries and distractions dissolve. From this point on, their focus is on learning about and connecting with the animals. By tuning in to an animal’s feelings of wanting attention, love, food, companionship and respect, a child can grow up into a caring adult who can more intuitively tune in to other people’s feelings as well as develop a vested interest in nature and the animal world. To find out more, call Laurie at 512-496-7861, write us at zoofarianimals@outlook.com, or visit us on Facebook: Zoofari Animal Outreach.